Why I Don't Support Debt ConsolidationEliminate The Muda! A little over a decade ago I found myself in debt… again! HELOC’s, as I saw it, were not much different than payday loans, just another form of debt transfer. When I became obsessed with debt elimination, I was determined to pay off debt, not transfer it from one institution to another. The real reason I decided against consolidation was that I had done it before and the result was, well, a failure. What started out as debt consolidation turned into debt escalation! In the 80’s and the heyday of high interest mortgages and loans, credit was being given away like water was before it was bottled. My debt load had grown; I’d filled up the credit cards. Even American Express had jumped into the game of revolving credit with their own line of incredibly overpriced products. 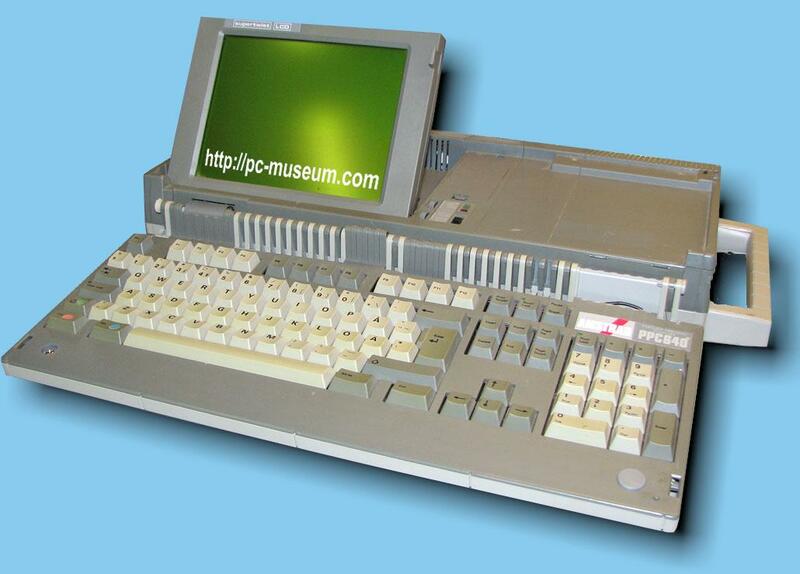 I could not resist the purchase of an Amstrad portable computer for a mere $89 per month… the straw the broke the camel’s back. Before long American Express wasn’t happy, Visa was frustrated with me, and Sears was downright mad. Even the mortgage payments were treading on thin ice. At then, when I thought I would never make it through, salvation came in the form of a white envelope from ITT Financial Services. The envelope contained several pre-printed checks. All I needed to do was fill out the name of the payee and the amount. Within minutes my Amex, Visa and Sears accounts were paid in full. The weight of the world was lifted from my shoulders. And I now had 3 cards wide open and ready for charges, and a 21% unsecured loan to repay ITT for several thousand dollars. It was like playing musical chairs with my debt. The Sears account was closed right away, because it was the “smart thing to do.” But I still needed credit card, or so I had convinced myself. I could afford the monthly payment to ITT Financial, but once again the charge cards were run up and I was again facing financial Armageddon. I had gone a little crazy in the late 90’s but I learned from my earlier experience. Instead of playing musical chairs with my debt and paying more in the long run, I faced my debt head on. In the end, taking responsibility and working through the pain of paying off the debt has taught me once and for all, if I can’t afford to pay cash, I can’t afford it. Carnival of Debt Reduction at Mighty Bargain Hunter. I don’t get what these debt consolidators do for the consumer? I’m getting contacted left and right about debt consolidation affiliate marketing, and it’s pretty annoying. How do they help others? 3) Help the consumer close each and every creditor account. 4) Take all of the consumer’s monthly payments as one lump sum from the consumer. 5) Allocate them, per a plan (not sure if it’s highest interest rate first or what, but it doesn’t matter, it’s a snowball of one variety or another) to each creditor, ON TIME. Unscrupulous consolidators don’t pay creditors on time (or at all), or don’t negotiate a lower rate. As The Lean Life Coach points out, this is all for naught if the debtor can’t change the patterns and circumstances that led him to spend more than he had anyway. I am basing this on a conversation I just had with a friend who is working with a reputable debt consolidation agency through her credit union. Keep your fingers crossed for her, OK? Thank you for the perspective. In every field there must be at least some noble people trying to do a good job and provide a value added service to their customers. The biggest concern I have with using a consolidator (even a reputable one) in any way is that they become a barrier to the consumer that prevents them from learning. As with so many other things in life, we often only learn by doing it ourselves. Entering this world of PFblogs, I am amazed at how many writers lament on making good decisions but then won’t hesitate to advertise or promote consolidators, payday loan operations, and other shady or quasi-shady “financial services”. One great thing about WP and email is the DELETE button. I do not have a lot of experience with actual debt consolidator companies, but I see a lot of friends, coworkers, and readers of my blog who try and consolidate their debt themselves by shuffling the debt around on more and more credit cards. But, debt consolidation in any form does not get to the root of the problem….racking up the debt. You make some good points. Another issue is that it is very risky to take unsecured debt (credit cards) and change it into secured debt (HELOC). By doing this, you aren’t only risking your credit. You’re risking your home! .-= DebT´s last blog ..Credit Card Debt Solutions =-.